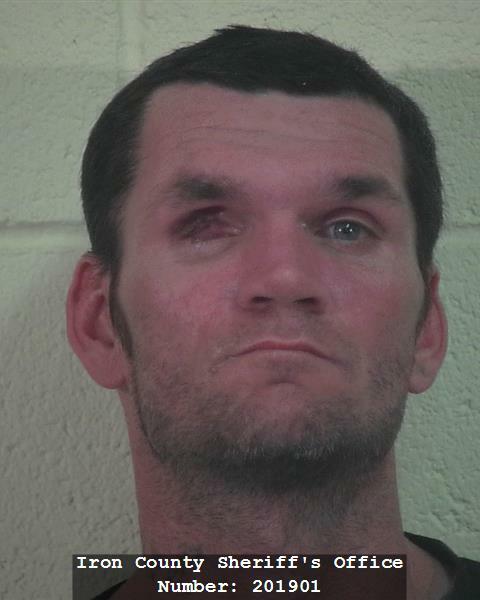 CEDAR CITY — Authorities arrested a 36-year-old man Tuesday who was wanted in Florida for robbery with a dangerous weapon, but not before he led police on a foot pursuit through the parking lot of a local retail store. Brian Levice Harper, of Lake City, Florida, was arrested on a felony warrant for aggravated assault and robbery out of Florida and a local charge of failure to stop at the command of an officer, a class A misdemeanor. Cedar City Police Officer Jimmy Roden said officers were initially dispatched around 4 p.m. Tuesday for alleged loitering in the parking lot of Wal-Mart. When officers arrived on scene they found three people in a vehicle matching the description by the reporting party, Roden said. Officers then identified the individuals, including Harper, whom they asked to step out of the vehicle. Officers chased the suspect on foot through the parking lot before deploying a Taser to stop him and ultimately end the chase. “I then advised the subject that I would deploy my Taser on him if he did not stop. The subject kept running and I deployed my Taser,” the arresting officer wrote, according to court documents. Harper was then taken into custody and booked into the Iron County Correctional Facility without bail.